Rhayader Leisure Centre has undergone a massive transformation and now boasts one of the best gyms in Powys. 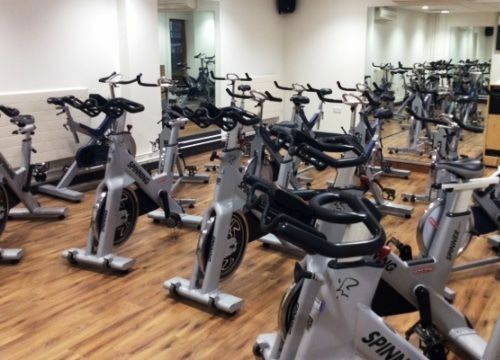 Alongside the gym there is a programme of exercise classes from Step to Pilates and now we're delighted to add Indoor Cycling to our programme in our dedicated Indoor Cycling Studio. The new Indoor Cycling studio is one of the best in the area. If you've never tried it then there is no excuse now come on over and we'll ease you gently into the programme. We know cycling is a great workout, but no one wants to go out and ride a bike in pouring rain, freezing weather, or on a scorching summer day. The new Indoor Cycling studio is absolutely fab and the instructors are brilliant! MyRide offers the closest experience to outdoor cycling without ever having to negotiate the risks of traffic or vagaries of the British weather. Rhayader Leisure Centre is proud to be at the forefront in the latest development in indoor cycling. Below highlights theprogramme on offer. • MyRide Virtual - A beginners class with a virtual instructor to guide you through your workout. Your instructor is on screen the whole time to educate you and to enable you to focus on correct technique and form. Each class includes 5 minutes of bike set up and instruction to ensure you are set up safely and correctly. Click on the video to see exactly why so many people are jumping on one of our bikes! At Rhayader we have other classes for those who prefer to exercise in a group or class environment. 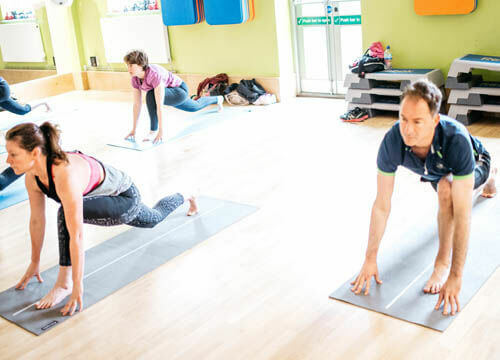 Our programme has classes 7 days a week and includes classes such as Kettlercise, Pilates, Konga, Zumba and Circuits. For any customers over 50 we have a dedicated class called AAA - Get Active, Stay Active, Be Active.